I have decided to divide the third sub-category of Kitchen - Food into two parts. 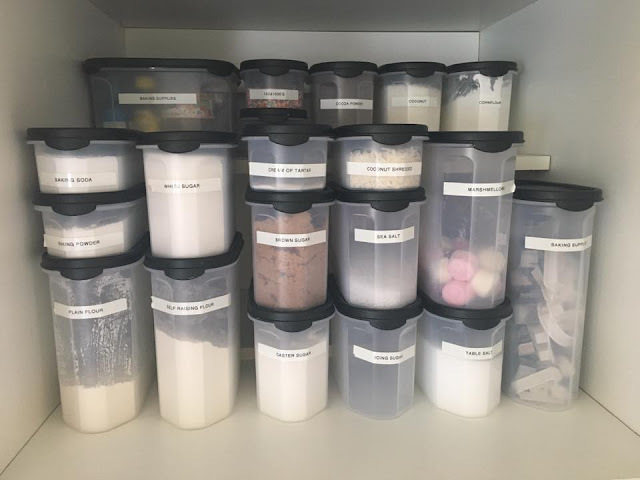 Last week I shared how I KonMari'd our Pantry and Fridge/Freezer, this week I am sharing our Food Storage (including containers, drink bottles, kids plates etc)...here we go. I must note that over the years, I have culled my food storage/plastics collection a lot. 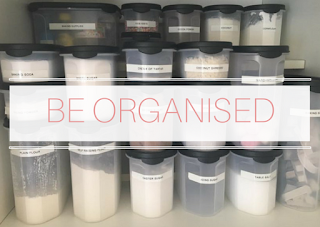 Every 6 months, I open my overflowing drawer or cupboard and get rid of a few things, and then re-organise the rest. I have returned items back to the drawers. Using baskets, I have corralled like things together, to make it easier finding things and returning them. 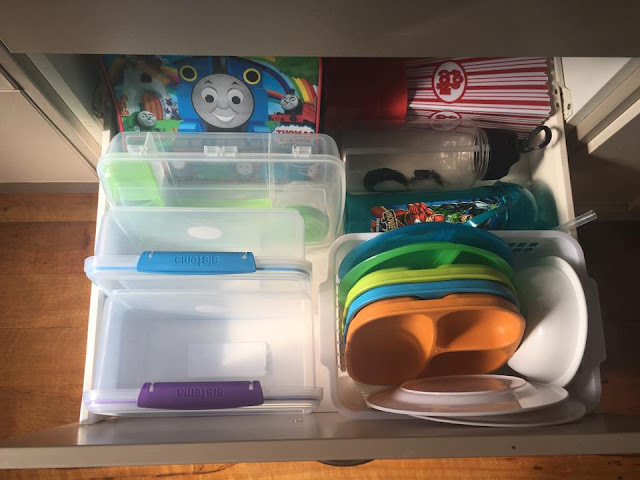 The top 'Food Storage' drawer consists of containers, mostly for lunches or snacks on the go plus an extra cereal container, lids and straws for our glass mason jars, our thermos and a couple of moldable ice trays (that I mainly use for my 2 year old's snacks at home). 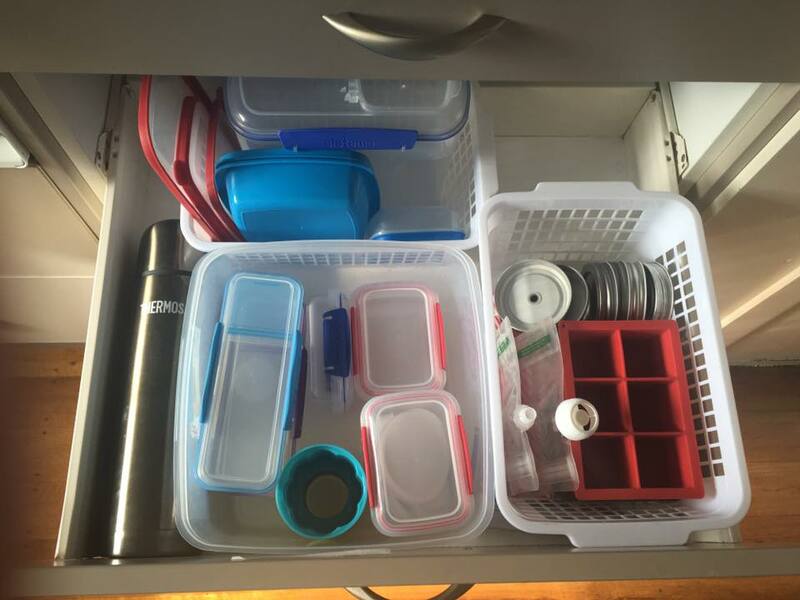 The second drawer is home to the lunch boxes, sturdy plastic cups when we have the kids cousins or friends visiting. There is also the popcorn container and a couple of spare drink bottles. In the front basket, I keep all of my son's plates and bowls. This is his basket - he likes to get them himself and puts them away once they are clean. I know we don't need that many plates, but my son loves them and they are handy to have when his friends (or other little kids) come to play. 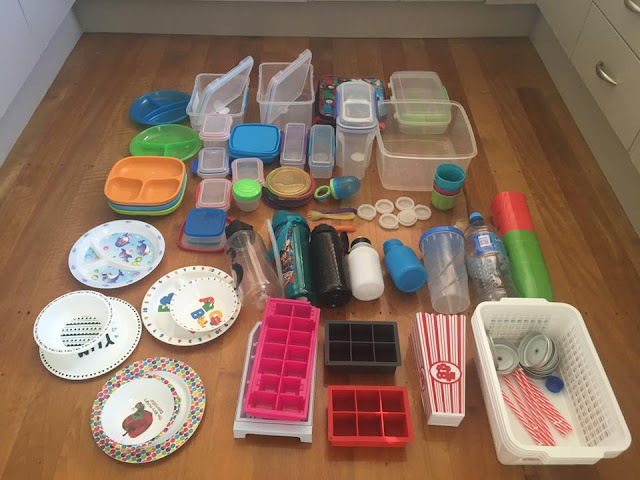 I have managed to purge a few drink bottles, a couple of plates and a few containers that didn't have a matching lids or lids without matching containers. 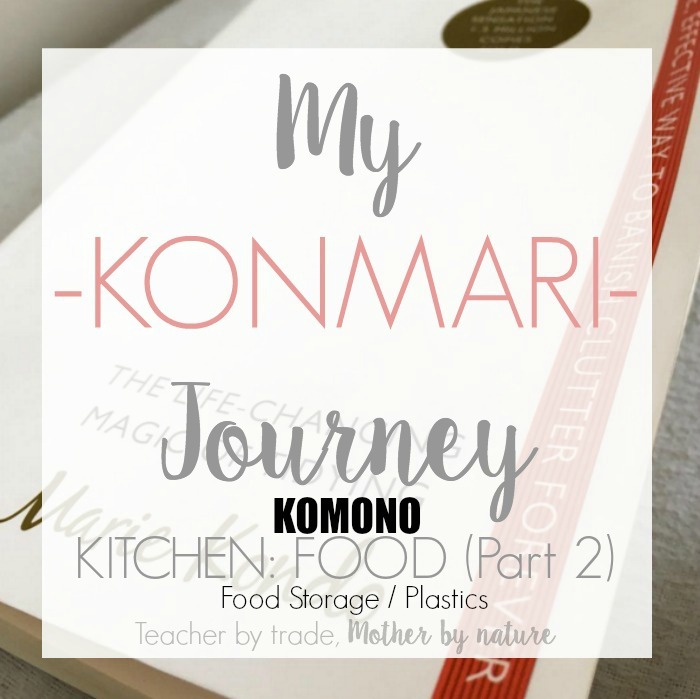 I have probably used the containers to store smaller items in - the joys of KonMari. 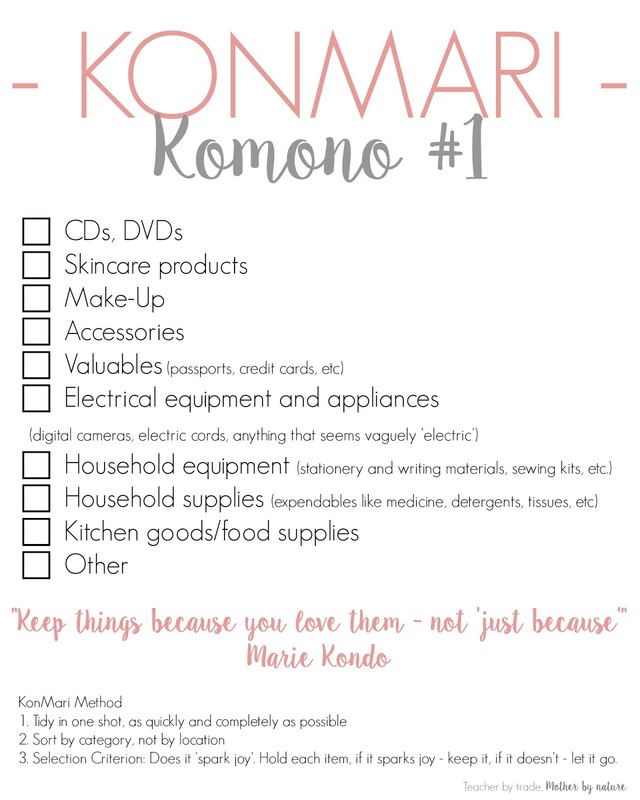 The biggest surprise of all, is that now that I have finished KonMari'ing my kitchen (YAYE! ), I am left with two, yes TWO empty drawers! I have this big drawer (pictured below), which is located under the plates drawer and a smaller drawer under the cutlery drawer. 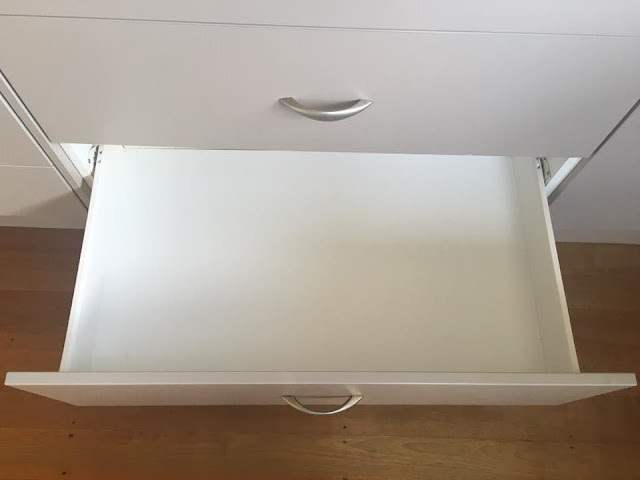 I have NEVER had empty drawers in my kitchen and I can tell you now, the feeling is great! I am really happy. Thank you KonMari. 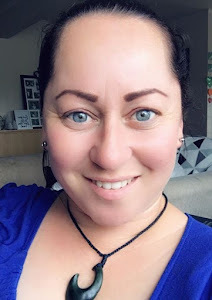 Over the next couple of weeks, I will see how the kitchen is functioning and if I need to move things around, I know I have this extra space. 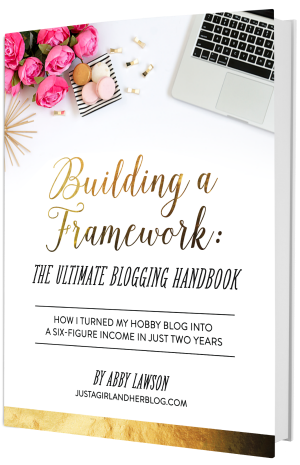 *Happy Dance* CLICK! In case you missed it...Check out the before and after photos of our Pantry, Fridge and Freezer. Yippee! I have finished the KITCHEN! It feels so good to have an uncluttered, organised kitchen. I have no problems with friends and family going through my cupboards and drawers. They will be able to see, at a glance, what I have and will be able to find things easily. Now to make sure my own family (partner and daughter) return things to the right place. I have already found pots in the wrong place - I had to giggle, obviously they didn't read my COOKING blog post. 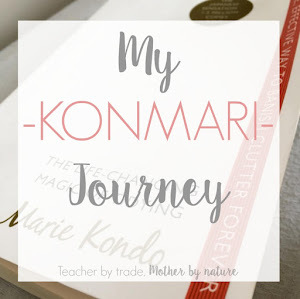 The last sub-category of KOMONO is OTHER, and Marie Kondo doesn't really elaborate on this much in her book, so it kind of left me a bit stumped. 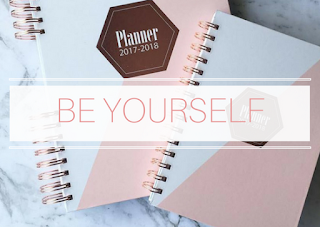 I have searched Pinterest, other blogs and YouTubers, who have been documenting their journey and have come up with a few ideas that are relevant to my home, and maybe yours too. I will be starting the OTHER sub-category with Linen, so watch this space. 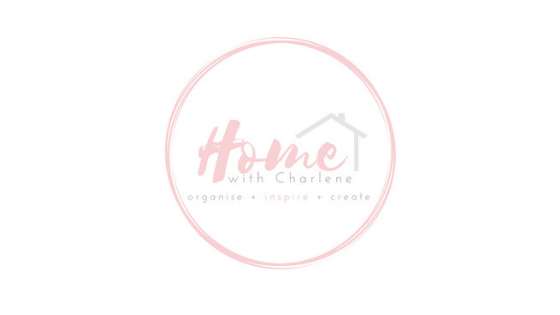 Join me next week when I share my KonMari purge of our Linen Cupboard (bedding and towels). 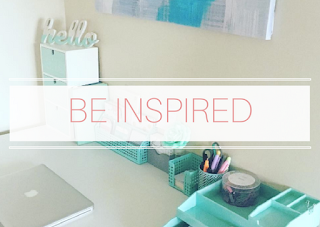 You will be happy to know that you inspired me to clean out my pantry and it looks fabulous. I even cleaned out my fridge. So much so I need to go grocery shopping because it's looking a bit bare! Wow, 2 spare drawers that's impressive! 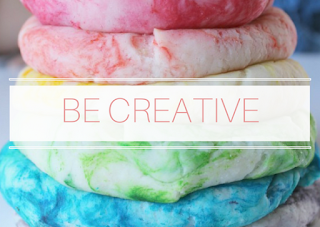 I'm hoping to use this method from the start with my new kitchen (and hopefully everywhere else too).